A world-record result in reducing errors in semiconductor 'spin qubits', a type of building block for quantum computers, has been achieved using the theoretical work of quantum physicists at the University of Sydney Nano Institute and School of Physics. The experimental result by University of New South Wales engineers demonstrated error rates as low as 0.043 percent, lower than any other spin qubit. 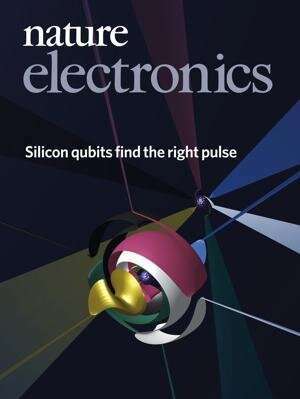 The joint research paper by the Sydney and UNSW teams was published this week in Nature Electronics and is the journal's cover story for April. "Reducing errors in quantum computers is needed before they can be scaled up into useful machines," said Professor Stephen Bartlett, a corresponding author of the paper. "Once they operate at scale, quantum computers could deliver on their great promise to solve problems beyond the capacity of even the largest supercomputers. This could help humanity solve problems in chemistry, drug design and industry." There are many types of quantum bits, or qubits, ranging from those using trapped ions, superconducting loops or photons. A 'spin qubit' is a quantum bit that encodes information based on the quantised magnetic direction of a quantum object, such as an electron. Australia, and Sydney in particular, is emerging as a global leader in quantum technology. The recent announcement to fund the establishment of a Sydney Quantum Academy, underlines the huge opportunity in Australia to build a quantum economy based on the world's largest concentration of quantum research groups here in Sydney. Professor Bartlett said: "Because the error rate was so small, the UNSW team needed some pretty sophisticated methods to even be able to detect the errors. "With such low error rates, we needed data runs that went for days and days just to collect the statistics to show the occasional error." "Steve Flammia's group are world leaders in the theory of error characterisation, which was used to achieve this result," he said. 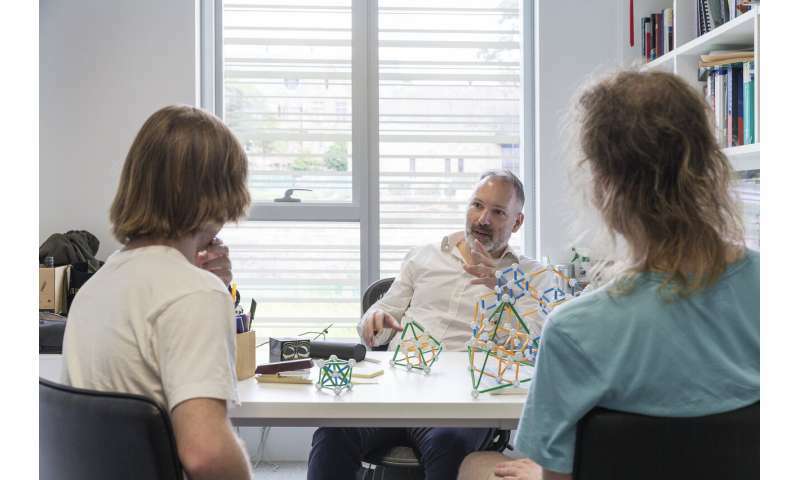 Professor Andrew Dzurak, who leads the UNSW research team, said: "It's been invaluable working with professors Bartlett and Flammia, and their team, to help us understand the types of errors that we see in our silicon-CMOS qubits at UNSW. "Our lead experimentalist, Henry Yang, worked closely with them to achieve this remarkable fidelity of 99.957 percent, showing that we now have the most accurate semiconductor qubit in the world." Professor Bartlett said that Henry Yang's world-record achievement will likely stand for a long time. He said now the UNSW team and others will work on building up towards two qubit and higher-level arrays in silicon-CMOS. Professor Raymond Laflamme is Chair of Quantum Information at the University of Waterloo in Canada and was not involved in the study. He said: "As quantum processors become more common, an important tool to assess them has been developed by the Bartlett group at the University of Sydney. It allows us to characterise the precision of quantum gates and gives physicists the ability to distinguish between incoherent and coherent errors leading to unprecedented control of the qubits." Professor Bartlett said: "The main problem is that to get the quantum dots to interact requires them to be ridiculously close—nanometres apart. But at this distance they interfere with each other, making the device too difficult to tune to conduct useful calculations." The solution was to allow entangled electrons to mediate their information via a 'pool' of electrons, moving them further apart. He said: "It is kind of like having a bus—a big mediator that allows for the interaction of distant spins. If you can allow for more spin interactions, then quantum architecture can move to two-dimensional layouts." Associate Professor Ferdinand Kuemmeth from the Niels Bohr Institute in Copenhagen said: "We discovered that a large, elongated quantum dot between the left dots and right dots, mediated a coherent swap of spin states, within a billionth of a second, without ever moving electrons out of their dots. Professor Bartlett said: "What I find exciting about this result as a theorist, is that it frees us from the constraining geometry of a qubit only relying on its nearest neighbours." Professor Bartlett said: "We all went to Copenhagen for a workshop in 2018 in part to work on this problem. Thomas Evans, a co-author of the paper, stayed there for two months supported by the Office for Global Engagement. OGE also supported Dr. Arne Grimsmo, who was working on another project." Professor Bartlett said: "This method allows us to separate the quantum dots a bit further making them easier to tune separately and get them working together. "Now that we have this mediator, we can start to plan for a two-dimensional array of these pairs of quantum dots."